Since it’s Sunday night and we are all sad that another weekend has come to an end, I thought I would post a recipe that we can all look forward to for next weekend. Brunch is definitely a big part of my weekends, whether I make it or visit some of my favourite brunch places in the city. I have a dear friend who lives in a different city than me and when she comes into town, we like to get together from brunch. Most of the time we go out but sometimes we stay in. Here is one of my favourite brunch’s to make and it’s super easy! 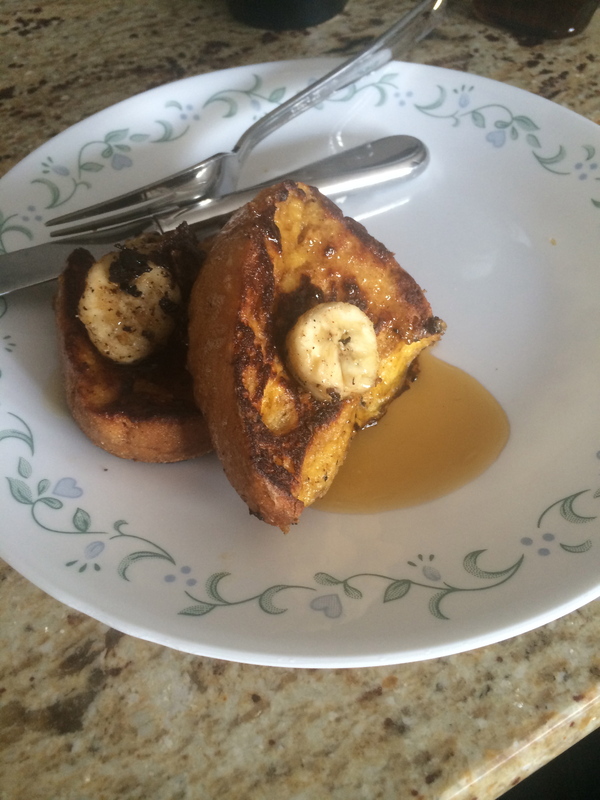 The caramelized banana french toast is super easy. I don’t normally condone adding too much sugar to things, or eating white bread, but I make occasional exceptions. I don’t really use measurements for this. I don’t really think you can go wrong with eye balling this just don’t add too, too much of anything. Once the french toast has been cooking for a few minutes I sprinkle some sugar and cinnamon in the pan and add in the sliced bananas. Let it all cook until the bananas have a nice crusty, caramel coating. Serve with real, organic, Canadian maple syrup. 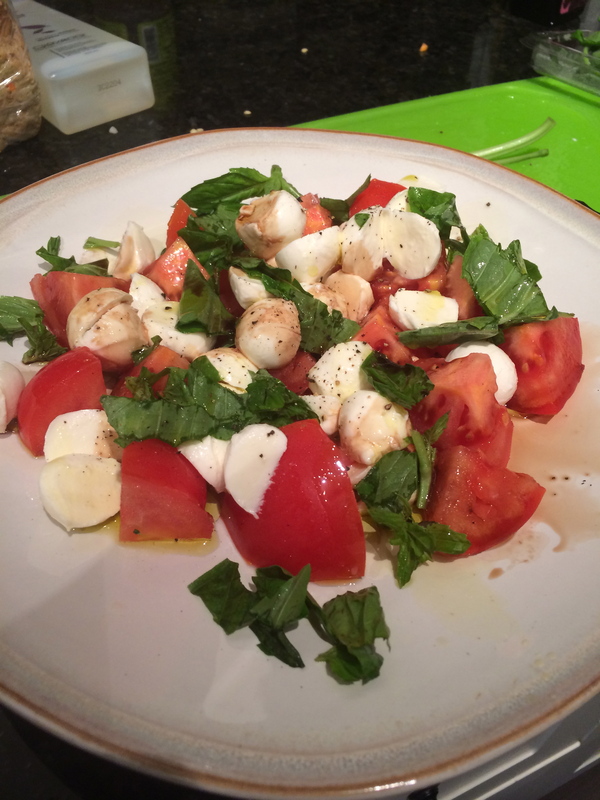 The caprese salad is one that I fell in love with when I was in Italy. This is best made in the summer when the ingredients are at their best. It is super simple and super fresh. It is best to make it just a few minutes before you are going to serve it as it is best right away. Usually I use vine tomatoes but cherry, roma or grape work fine too. Fresh boccocini, the small balls or the larger one sliced. Fresh basil, please don’t use dried – it’s just not the same. Organic extra-virgin olive oil and aged balsamic vinegar. I start by slicing the tomatoes and arranging them neatly on a plate, then I add the cheese, tucking it in between the tomatoes. Sprinkle the loosely chopped basil or arrange the full leaves in between the cheese and tomatoes. To finish, drizzle with the olive oil and vinegar, again I eye-ball but don’t overdo it, try to have an even amount of each. Sometimes, on the side to make the meal a bit heartier, I will bake some yam wedges which are super easy and can replace hash browns. All I do is heat my oven to 375 degrees, cut the yams into wedges and place on a baking sheet. I cover the yam wedges with coconut oil, cinnamon, turmeric and garlic powder. Bake for about 20-25 minutes or until soft with a crunchy outer layer. These are just a few of my favourite brunch recipes. I try to use all organic ingredients in whatever I cook. 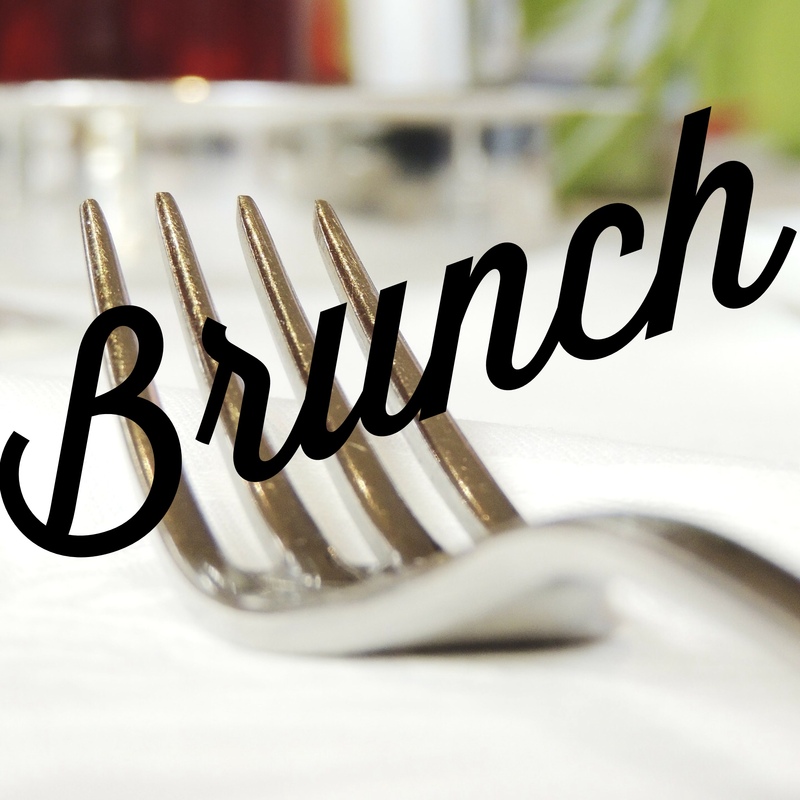 What are some of your favourite brunch recipes? I love trying new recipes, especially for brunch.